Here's a list of the top 7 offers and programs available in 2019 for businesses in New South Wales, Victoria, South Australia, Australian Capital Territory and South East Queensland. 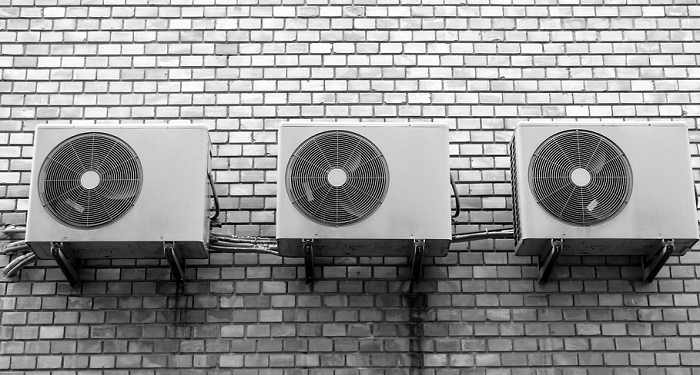 Thinking about installing a new air-con in your retail store, office or business premises? This incentive is available to small businesses in New South Wales that install an energy efficient unit by an approved installer. The amount of the discount depends on the size and model of the unit. To find out more about accessing the discount, search for an approved installer on the NSW Energy Saver website. Rebates of up to $5,000 are available to eligible businesses operating in the ACT seeking to upgrade to more water and energy efficient technologies, including with lighting, appliances, heating or cooling, refrigeration, insulation, toilets and tapware. To be eligible, businesses are required to operating in the ACT, have electricity bills totalling up to $20,000 per year and/or employ up to 10 full-time equivalent staff. To find out more, call 13 22 81 or email [email protected]. Provides Victorian businesses with access to discounted energy and water efficient products and services through accredited service providers. Check your eligibility and apply at the State Government of Victoria website. The Energex Positive Payback provides south east Queensland businesses with financial support to upgrade appliances, equipment and processes including lighting, refrigeration, HVAC, lifts and elevators, hot water and steam, motors, building management systems and power factor correction. To submit an application for the scheme, visit the Energex website. The ActewAGL Big Business Light Switch program assists Australian Capital Territory businesses to upgrade their lighting by switching to energy-efficient LEDs which consume significantly less power compared to incandescent lights and have a longer life cycle. Lighting may be free or made available at a heavily subsidised cost depending on the building type. A list of eligible lights is listed on the ActewAGL website. Call 1300 789 002 and speak to Energy.gov.au representative about taking advantage of the program. Assistance for eligible South Australian households and businesses with a range of special offers and incentives to save energy. These are available from energy retailers and their contractors. Learn more and apply for the Retailer Energy Efficiency Scheme on the Essential Services Commission of South Australia website. Owners of eligible systems may be eligible to receive either an upfront discount off the total cost of their system, or acquire small-scale technology certificates which can be created and sold following installation to recoup some of the cost. Learn more about the scheme on the Clean Energy Regulator website. Ready to pay less on your business electricity and gas bills? Find a better deal with Make it Cheaper Australia today.